Back on the 7th, at Dan Gordon’s restaurant in Palo Alto: server explains they are out of Tanqueray gin, apologizes, offers me a taste of Junipero gin (not familiar to me, though it’s a San Francisco thing), which arrives in a glass of interesting shape, also not familiar to me. Being a linguist of inquisitive bent, I ask what that kind of glass is called. Server thinks it’s a Nick and Nora (unfamiliar to me as a glassware label, though I got the allusion and understood why the name would be used for drinkware). Bartender shouts out that, no, it’s a Glenn Caron (well, that’s what I thought he said, but I was puzzled about what the connection was between glassware and the tv writer / director / producer Glenn Gordon Caron or his most famous show, Moonlighting). Much later I discovered it was a Glencairn glass, designed for (Scotch) whisky. Now, the replay, with more detail. 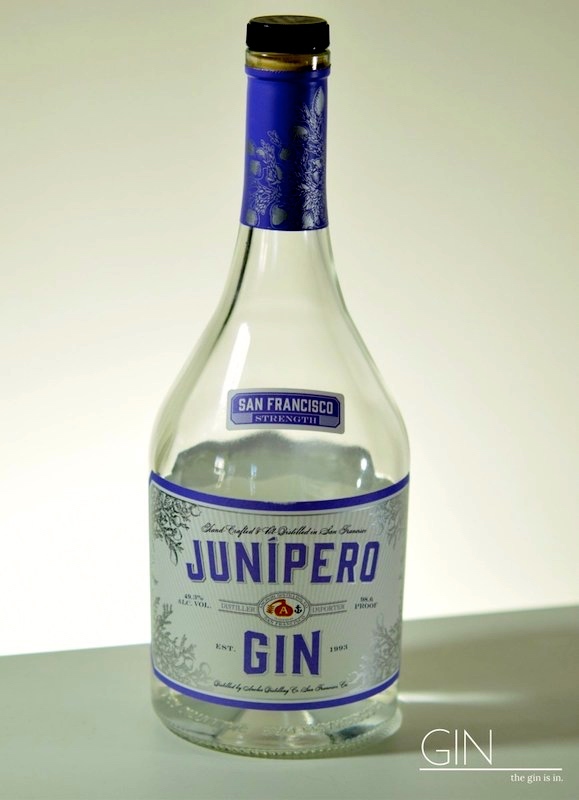 Junipero is perhaps the first craft, copper pot distilled gin in America since prohibition. Secondly, Anchor and Junipero set the benchmark for “premium” gin pricing. The Nick and Nora glass. Oh, I said to the server, Nick and Nora, that would be Nick and Nora Charles. From the Thin Man movies, I added. They’re not just from before you were born, they’re from before I was born — from the 1930s. Nick and Nora were rich and fashionable, drank a lot, and got caught up in murder mysteries. (He is now searching for Nick and Nora on his phone.) The Thin Man movies were Depression-era escapist fantasies. Like the Busby Berkeley dance movies. And the Astaire and Rogers movies. Astaire and Rogers?, he asks in a bewildered way, now shifting on his phone to Fred Astaire (after I spell it for him). Kids these days. 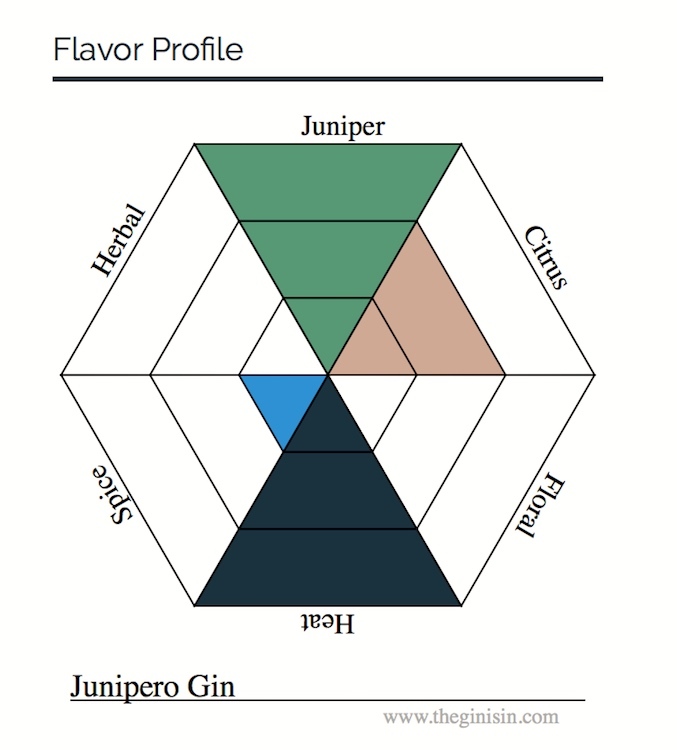 The Junipero Gin, in what I still think of as its Glenn Caron tasting glass, is mighty fine. “Before Prohibition, there were lots of different kind of glasses, including V-shaped and flat-bottomed,” says David Wondrich, a Liquor.com advisory board member, the author of Imbibe!… and the senior drinks columnist at The Daily Beast. 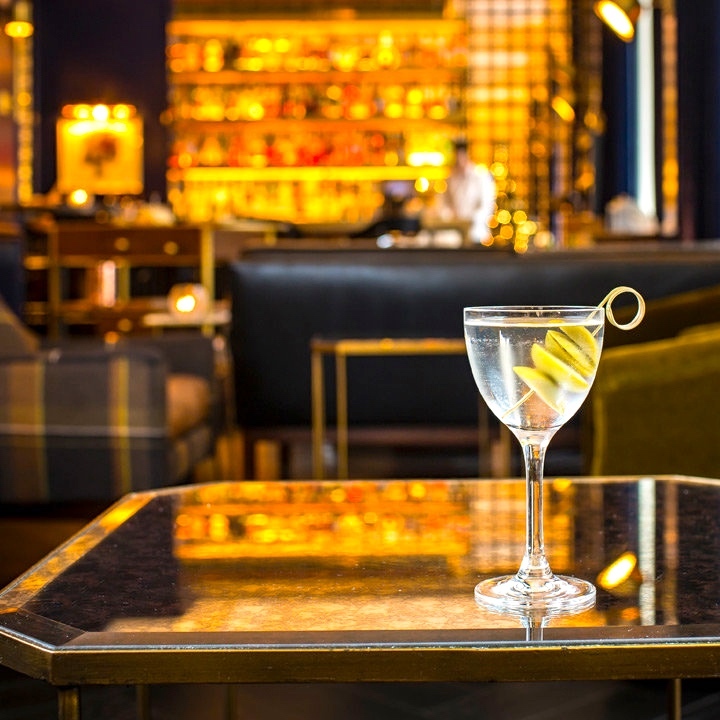 “The standard Martini glass may be an icon, but it’s crappy to drink from; it spills and tips easily.” Enter other options, like the coupe and what eventually became known as the Nick & Nora glass, which was debuted to the masses by Audrey Saunders in 2005 when she opened her pioneering New York cocktail bar Pegu Club. The Glencairn whisky glass is a style of glass developed by Glencairn Crystal Ltd, Scotland for drinking whisky. 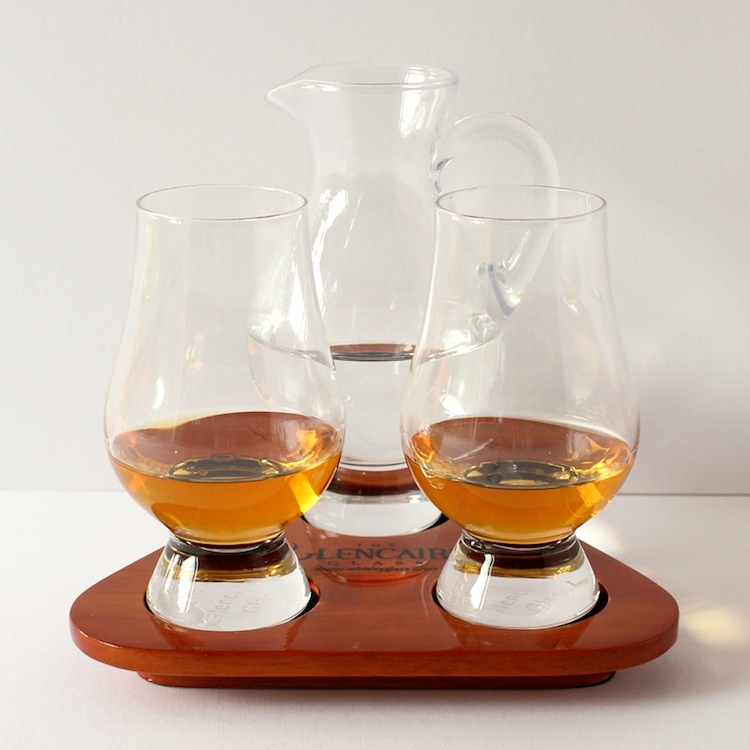 Originally designed by Raymond Davidson, managing director of the company, the shape of the glass is derived from the traditional nosing copitas [stemmed snifters] used in whisky labs around Scotland. The glass design was concluded with the aid of master blenders from five of the largest whisky companies in Scotland. The glass first came into production in 2001. The world of drinkware: always on the move. The Glencairn in 2001, the Nick and Nora in 2005. What next? This entry was posted on February 10, 2019 at 11:51 am and is filed under Language and food, Movies and tv, Names, Trade names. You can follow any responses to this entry through the RSS 2.0 feed. You can leave a response, or trackback from your own site. I nearly bought a set of Nick and Nora glasses for Manhattans, rather than my usual Old Fashioned tumbler. But I reflected and realised that I had no place to store them.